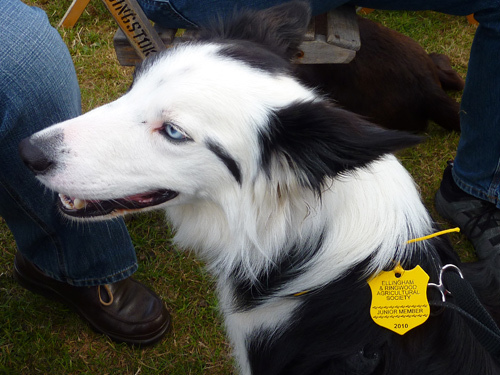 A favourite day in the local calendar. 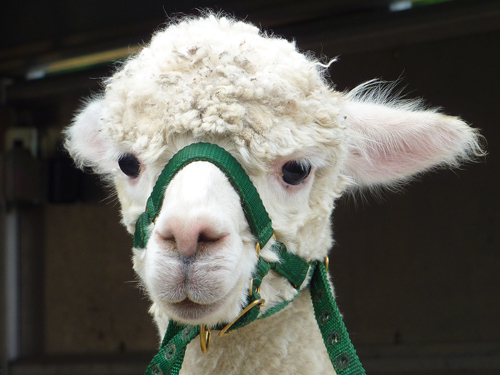 The Ringwood and Ellingham Country Show is held in the grounds of Somerley House. A quick run onto Rockford Common with Harry to stretch his legs as he’ll spend the day on the lead. 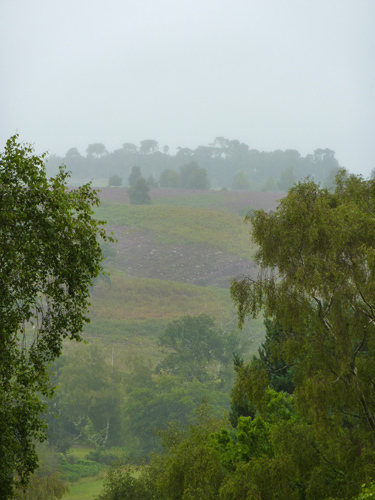 Looking across to Whitefield Plantation on Ibsley Common through the mizzle. Not the best start to the day weather-wise! 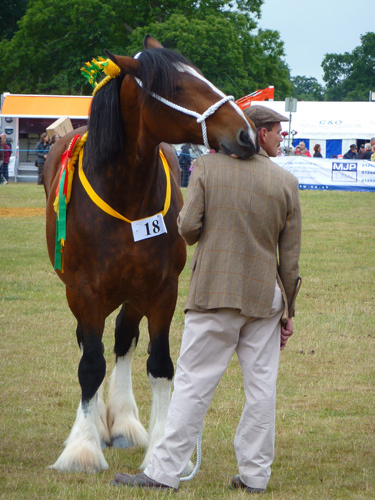 In much improved conditions, a young competitor in one of the heavy horse classes comforts himself by spending most of his time with his chin on his handler’s shoulder. 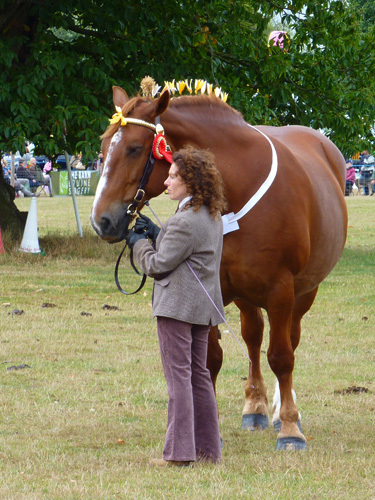 A huge and fine Suffolk Punch in the same class. 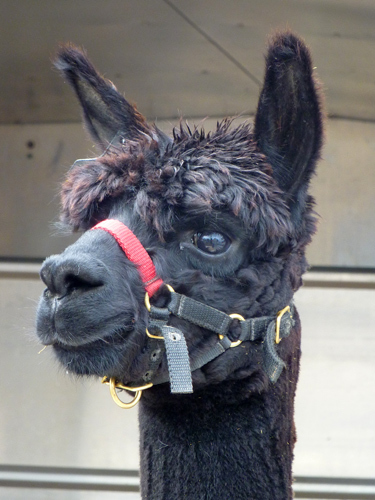 …that one, however, has ears lowered and is looking my way. Thank goodness for zoom! 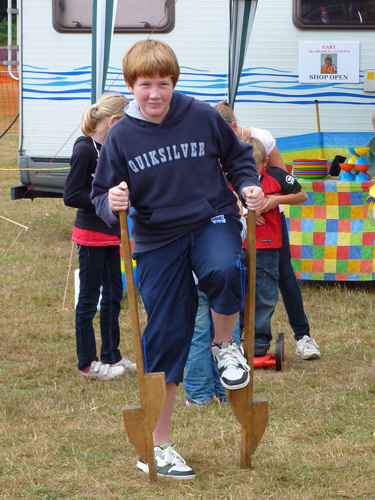 An opportunity to try out your circus skills. Nathan gives the stilts a try. It takes practice! 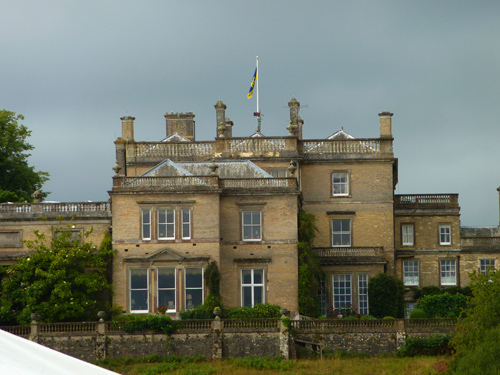 Despite the improvements in the weather, Somerley House is still viewed against a backdrop of deep blue. If you were a fan of Howard’s Way, you may recognise Somerley as the house used as the home of stately home of Sir Edward Frere. 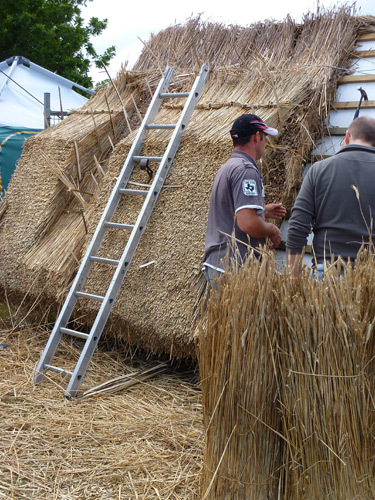 A demonstration of the skilled art of thatching. 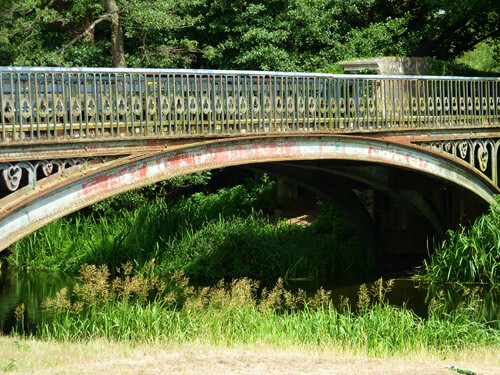 The Victorian iron bridge that carries the road into the estate across the Avon from Ellingham. Now apparently not in use. 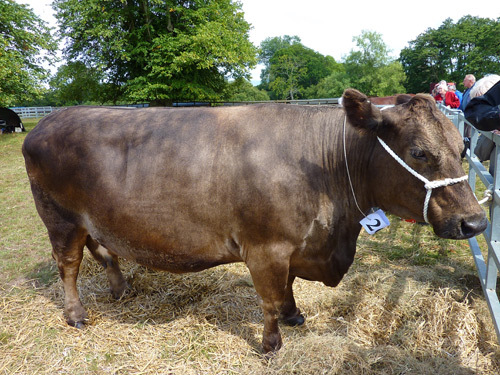 In amongst the livestock on show, this cow was a lovely colour, had a sweet face and was absolutely huge! Unfortunately, my photo is not from an angle that does her justice. 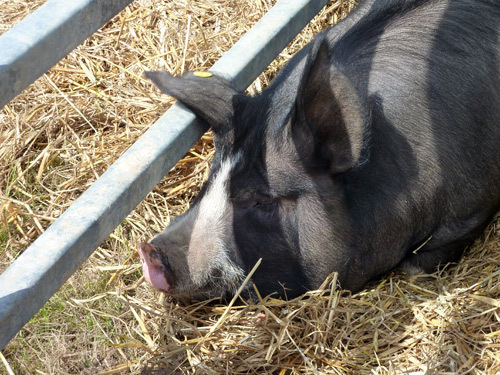 Piggy sleeping in the sun. 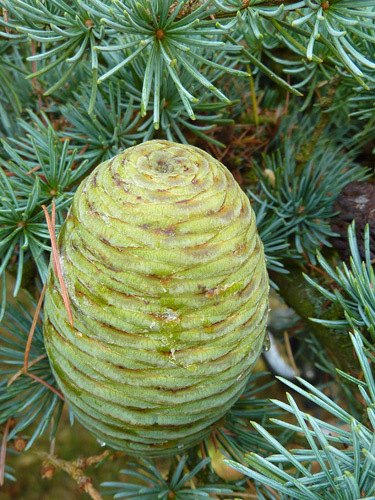 A brand new pine cone. Wol! 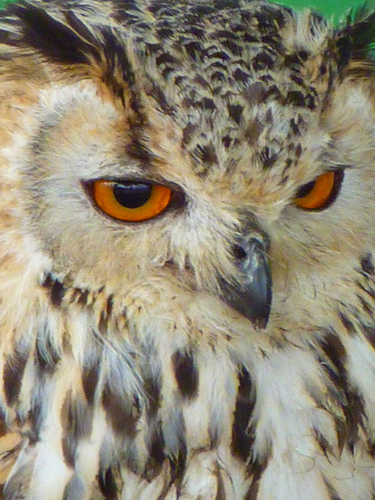 One of the members of the birds of prey display. 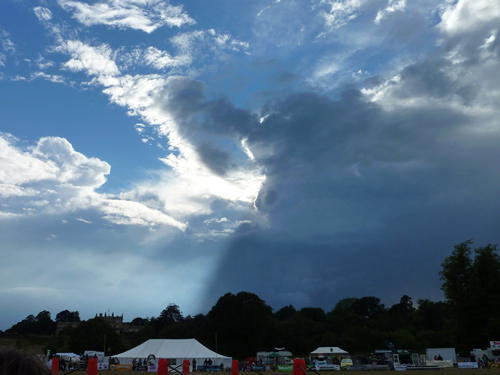 As the show winds down, the clouds gather and threaten the rain that was forecast for earlier in the day. We’ve been very lucky!